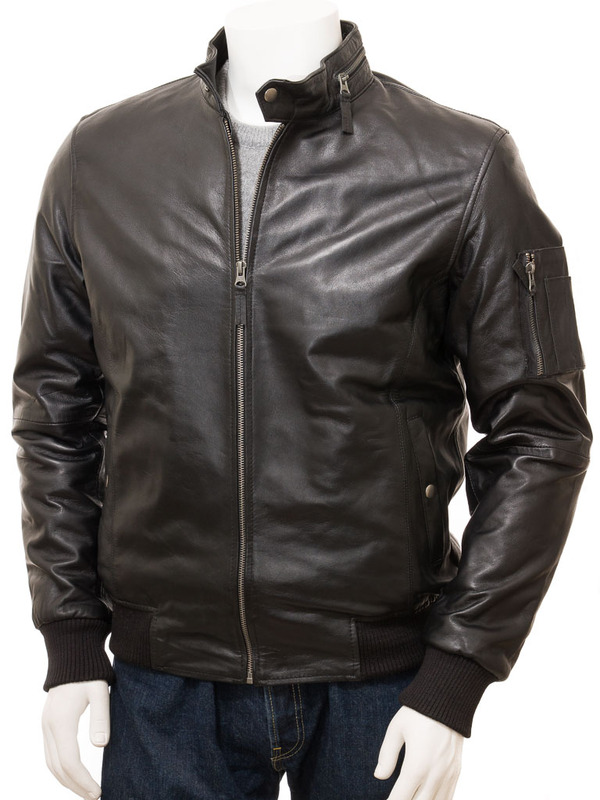 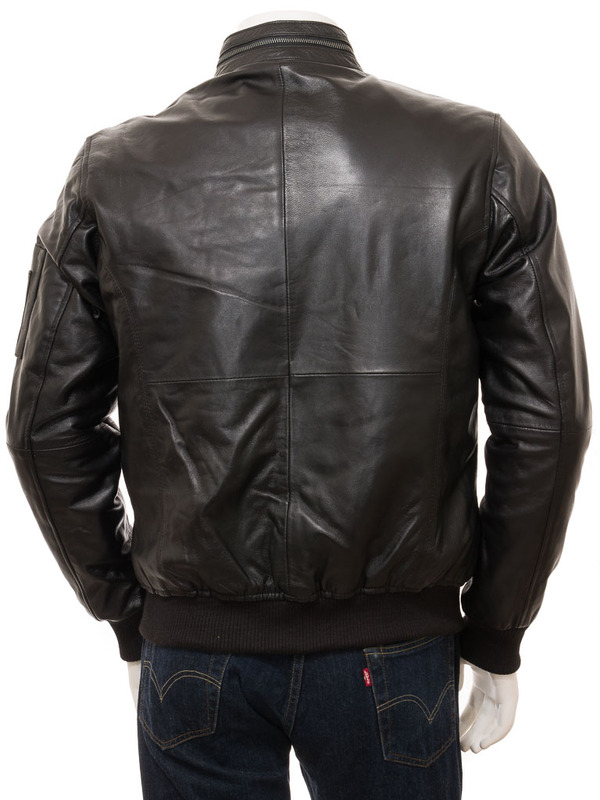 A unique, black leather jacket which takes the best features of biker and bomber styles. 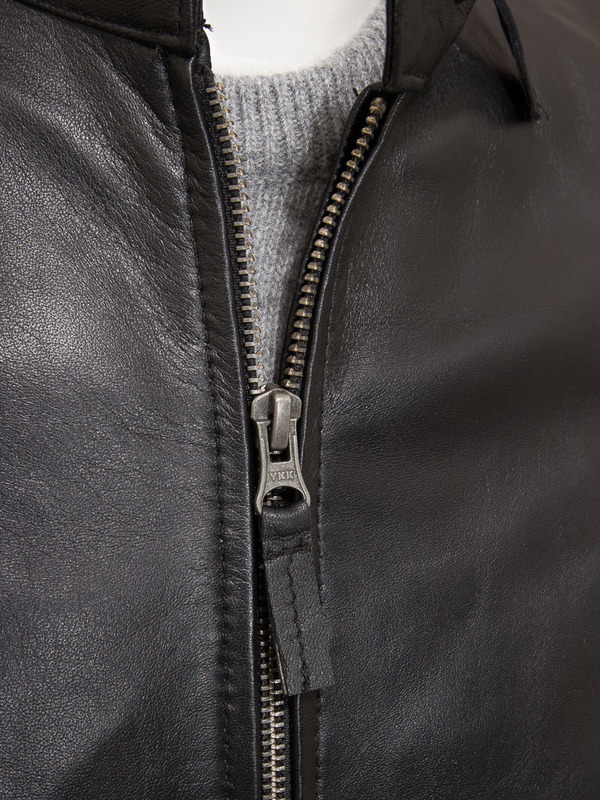 Crafted from A-grade sheep nappa leather this piece features an exposed YKK zip which runs up to a tab collar, fastened with a press stud. 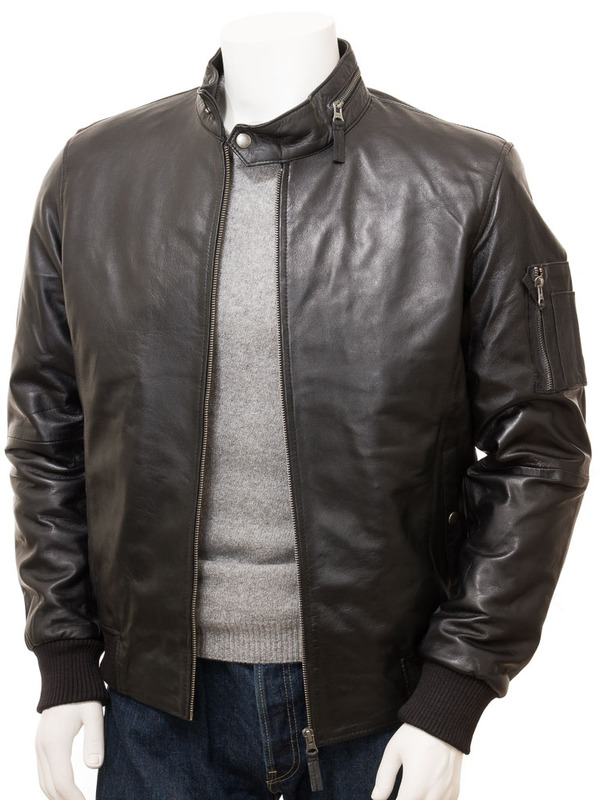 Slightly looser cut than a typical biker jacket, the classic A2 heritage of this jacket is revealed in the two pockets at the waist, the sleeve pockets and of course the rib knit cuffs and hem. 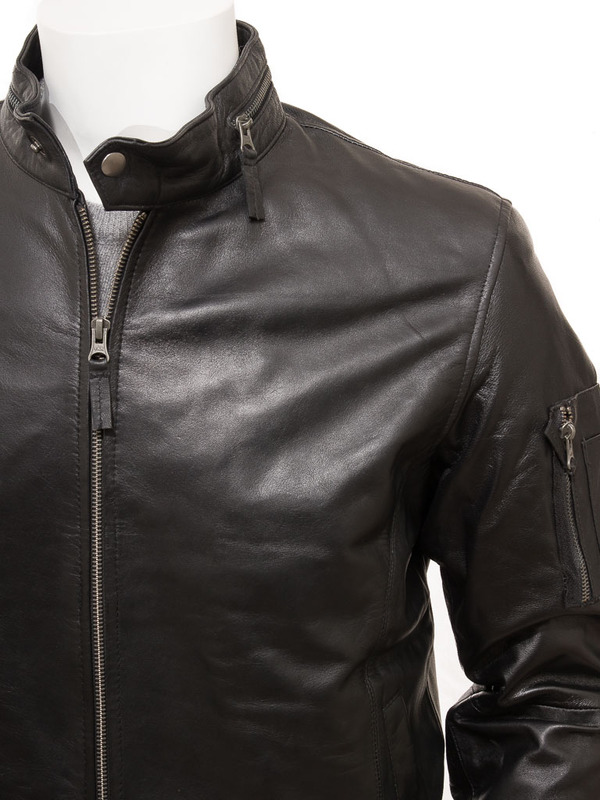 The interior is fully lined in black poplin and incorporates two more leather trimmed pockets, one of which is zipped.